I believe that we must continuously educate our own compassion and moral understanding. One of the ways we can do this is by informing ourselves of injustice and suffering in history, and then remembering what we have learned. This is a pedagogical imperative as well. Our children need to be exposed, in both school and home, to books and film and photographs that will teach them – in age appropriate ways – that terrible things have been done to people, that they have been done to these people unfairly, and that it is utterly wrong that they should have been done at all. I would like to suggest that we add Rwanda to the above – specifically the Rwandan genocide of 1994 — as a site of learning, compassion, and remembrance. There are several reasons why I think it’s important we do this, besides the broad education of mind and heart already mentioned above. There’s a general knowledge of the genocide already, especially if we’re old enough to remember the media reports of some 15 years ago, reinforced by the public agony of Canadian general Romeo Dallaire, his book Shake Hands with the Devil: The Failure of Humanity in Rwanda, the film of the same name, and other films such as Hotel Rwanda. Second, there’s a significant and growing literature on the genocide to help us listen and learn. Third, the international community is complicit in the genocide, for its withdrawal, for its non-response. Perhaps caring now can continue to turn us around, even if it does nothing to reverse the murder of some 800,000 Tutsis and moderate Hutus. Fourth, Rwanda is statistically a “Christian” country (65 percent Catholic, 15 percent Protestant) and, if we are Christian, we might ask how those who worshipped with someone one week could be hacking them to death with a machete the next. Last, various groups, such as Mennonite Central Committee, are currently involved in reconciliation efforts in Rwanda. Is reconciliation even possible? And what can we learn from Rwandan attempts to live well, side by side? However, little by little, I’m getting there. 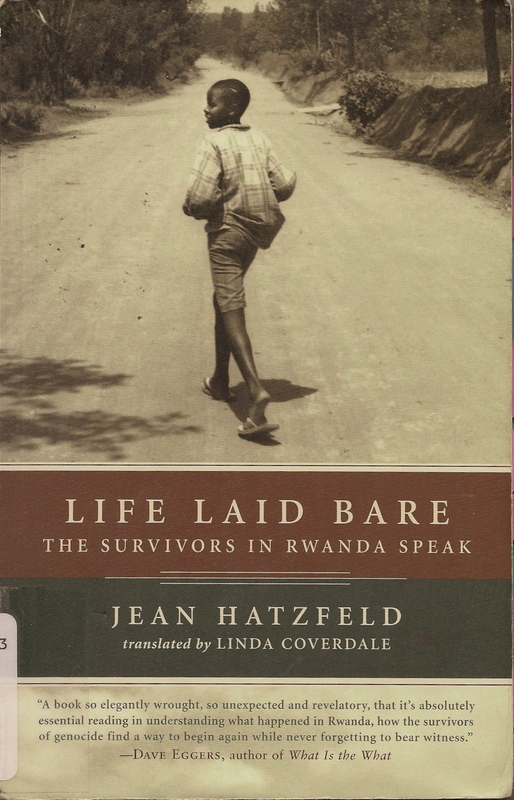 I recently discovered the work of French journalist Jean Hatzfeld, who presents the memories of a group of Rwandans in one small area of the country. I find that the stories of individuals are often my best path into a larger history and its larger demands. 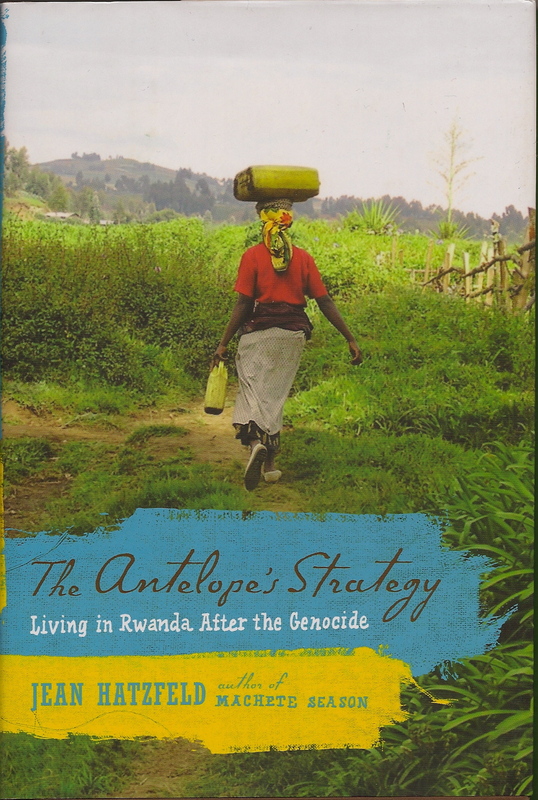 In subsequent posts, I want to briefly introduce these books, as a way of remembering and reflecting on the Rwandan genocide. You may have books, movies, or other resources to suggest as well. 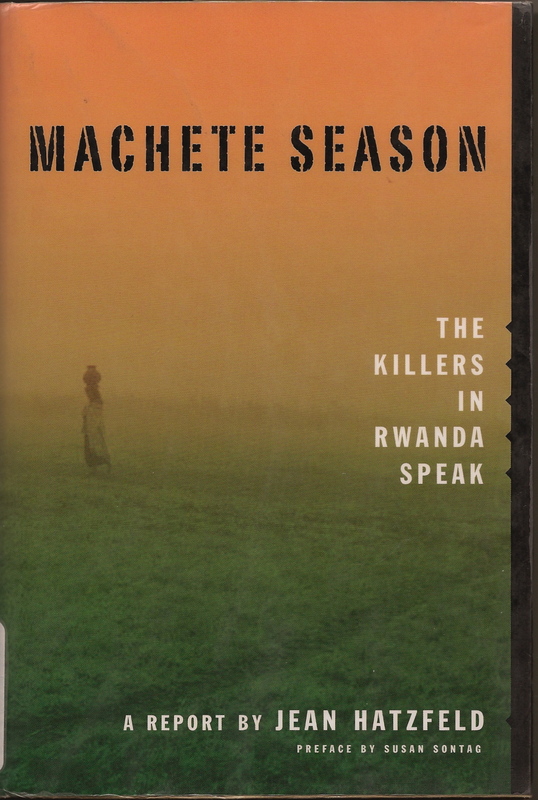 This entry was posted in Books, History and tagged genocide literature, Jean Hatzfeld, Romeo Dallaire, Rwandan genocide by doradueck. Bookmark the permalink.